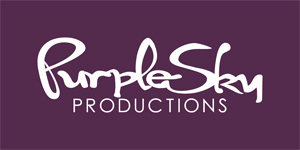 Welcome to Purple Sky Productions! Located in Lincoln, Nebraska, Purple Sky Productions is a full service photography studio focusing on Maternity & Newborn portraits. I have been in business for 18 years and I am professionally certified in photography. I am passionate about creating timeless portraits that allow you to relive life’s most treasured moments. Having a child is one of the most beautiful things in the world, and I want to help you capture the wonder and joy that comes with motherhood. I am committed to not only giving my clients high-quality photos. My priority is giving you the images that you most want to see and to give you a moment to look back on fondly; I work closely with every client to fully create the vision they have for the session. I truly want sessions to be relaxed, fun, and to capture genuine smiles and emotion. Whether your baby is newborn, a few months old, or is still a bun in the oven, I can help you preserve and cherish these moments for a lifetime. While I focus on Maternity & Newborn photography, I do other photography as well, including senior and family portraits! Thank you for visiting my site!